Short of time but wish to explore the wild? You have come to just the right place. 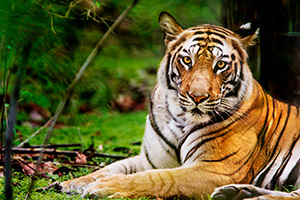 Wildnest offers you to have 2 jungle safaris along with boating in the calm lake of Siliserh. 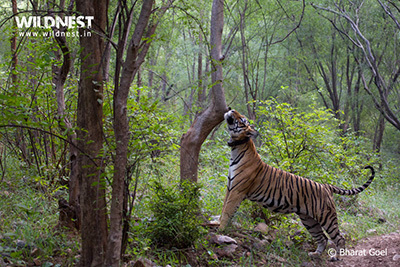 This trip will enable you to witness the fauna and the avifauna in and around Sariska. Day 1: Leave from Delhi and arrive at Sariska. Day 2: Morning safari, drive to Delhi and departure for home. – The activities mentioned above in the itinerary, will be conducted during the trip and are subject to changes as per the unforeseen natural reason. – Above itinerary is subject to change at the time of operation due to any unforeseen reason, keeping the best interest of a traveler, however, all the services possible that time will be provided according to the situation. Forest Department can cancel / change safari booking at any point of time. – Safari timings and duration will differ according to different seasons and destination. – Above itinerary is focused on mammals; if you wish to focus more on the birds, please notify in advance. 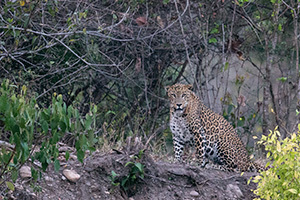 Specialist in particular can accompany during the safari. – A list of suggested items to pack is included in the pre-departure guidebook that will be mailed to you after the time of booking confirmation. Fill the form given below to know the cost of the trip.